Saturday: I stayed in my pajamas and in my bed practically all day, just watching TV, reading and of course, Facebooking. Sunday: After sleeping in, I was prepared for another all day of nothingness. But that’s not what I wanted to do. After an hour, I was already bored of the boring day ahead. I desperately needed an adventure. Enter: my friend Heather, a half tank of gas, umbrellas just in case, Route 11, and no map or ultimate destination. 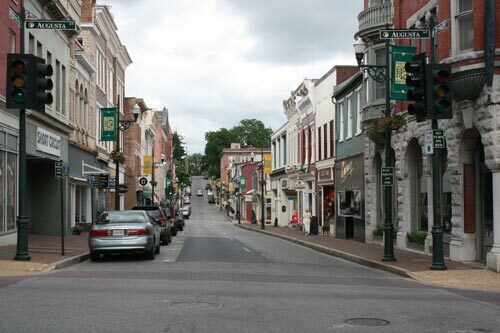 A sleepy Sunday in Staunton. We found ourselves in Verona, which is nothing like Verona, Italy, unfortunately. The only thing we actually saw was an antique store with an Indian museum inside. We saw lots of the same dishes over and over. In the back (beside the Indian “museum”), we found the room with deer heads and assorted animals — time to turn around! One of the highlights was a $300 tiara made of “authentic jewels.” Seriously? We were debating why anyone would purchase that, and the woman selling it walked by and said she would work with us on the price. Time to walk away again! 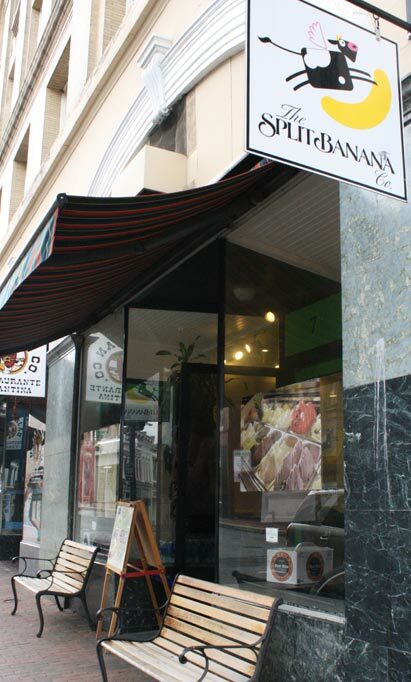 The Split Banana in Staunton is a mix of an oldschool ice cream shop and a European gelato stand. We took the long way home, turning from one route number to another, knowing that as long as we kept going north we’d make it back to Harrisonburg. Our attempts at finding a lake failed, but after two U-turns we did find roadside day lilies to pick for our new vases. Having nothing to do is nice, but having nothing to do and actually doing something is even better.